All of which is to say, clearly I’m back to square one – once again making awkward excuses for just plain NOT writing. 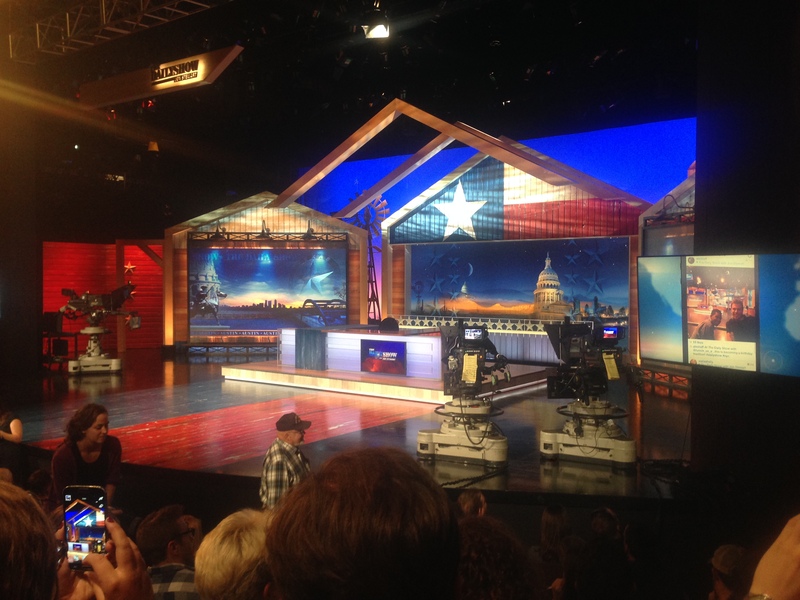 BUT, The Daily Show is taping in Austin this week, which is pretty damn cool. Even cooler is that my husband – who tends to be more on top of such things than I – managed to snag us tickets for yesterday’s taping. I have to admit, prior to the show, I viewed getting to the taping as a bit of a chore. The show was downtown, I work in Cedar Park. That’s 40 minutes on a good day with 5am levels of traffic. Even worse, I was going to have to find someone to cover my shift just two days after taking an entire weekend off for our anniversary. (One of the downsides of my career change: corporate personnel managers can take off work whenever they want, retail assistant managers don’t even get a lunch break.) Yes, of course I wanted to see Jon Stewart, but the logistics of changing my routine felt like a tremendous chore. Fortunately for me, Handsome J knows when not to let me weasel out of things, and my boss is a super-cool guy who can appreciate how miraculous it is that Comedy Central decided to bring their super-liberal hit show to Texas (Texas! ), of all places. As expected, the show was wonderful. The jokes were spot-on, the delivery flawless, and not a single retake was required. Even the guest, Congressman Joaquin Castro, was delightfully open and honest for someone with that sort of job title. And yes, all of that impressed me. But not as much as Jon himself. No, we didn’t get to meet him. He didn’t sign any autographs, allow for any selfies, or even allow us guests to take pictures of anything more than an empty stage. But he did do a 15-minute Q&A pre-show, during which I swear he somehow managed to make that entire auditorium of people feel that under other circumstances, he might have been our entertaining neighbor. He just happened to wind up a world-famous comedian/intellectual instead. You know, the kind of guy who is equally comfortable interviewing Weird Al or the President of the United States. Legally taken photo of the 100% celebrity-free Daily Show set. Here’s the not-so-shocking truth: Jon Stewart is funny and charming and smart, and he’s great in front of a crowd. Joking around with perfect strangers is something that man is just naturally good at. Watching him, it was impossible not to feel inspired. No, I have no desire to become a comedian, a television personality, or even a serious journalist. Right now I still pour the majority of my energy into figuring out how to be a good salesperson/marketer/coach/race advisor/runner. And in a world where every single runner is cross-checking your prices with Amazon, your advice with Runners World, and your thoughts on shin splints with the Mayo Clinic, damn is that hard!!! I’ve learned a ton in this past year, and I daresay I’ve improved a lot in every one of my roles. But they are all still relatively new roles to me. None of these functions are things that I was just born good at. Believe me, I’m both old enough and pragmatic enough to realize I may never reach a Jon Stewart/elite marathoner level of success at anything in my life. And obviously the Jennifer Lawrence ship sailed right away along with my twenties. But that doesn’t mean I’m not gifted at anything. No humble bragging here – I know I can write. It’s just that I almost never make time for it. But why? Seriously, I’ve been asking myself this. If I know that in my heart of hearts, I want to be a published writer some day; and moreover, if I honestly believe that writing is the one thing in life I know I’m good at, why the hell don’t I write more??? Yes, it could just be pure procrastination. Possibly even some subconscious fear of failure (or even success?) that would give a psychoanalyst fits of glee. But I think there’s more to it than that. I think there’s something in our culture today that makes all of us feel like the things we’re already good at aren’t really worth spending time on. We all have so much we need to improve – why waste time on skills we’ve already mastered? So, for myself at least, I’d like to challenge that thinking. And if you’ve been thinking the same, I’d like to challenge you as well. I don’t believe you can do anything beautifully – and I mean that in the true, “with beauty” nature of the word – unless you honest-to-God believe not only that you can accomplish your task, but that you can do it exceptionally well. Want a running parallel? Fine: Every running magazine in the world will tell you that you won’t hit a PR unless you go into the race believing you can do it. And you tend to believe you can do those things that you already know you’re good at. If you KNOW you can run a 10-minute pace super-comfortably for 20 miles, guess what? You’ll do just that in a marathon. And I bet you’ll even feel pretty damn good about it. This is not a call for complacency. It’s a call for leniency. Be kind enough to yourself to make time for the things you already know you can do. Just because something comes easy doesn’t mean it isn’t worth doing. Allow yourself to spend at least a little time reveling in the comfort of your own competency. After all, if Jon Stewart wasn’t hosting The Daily Show, how would anyone between the ages of 18 and 35 have the slightest clue what’s going on in this country?? PS – I promise to be far less melodramatic and soap-boxy in future posts. wow, you might not be posting a lot…or at all but i’m glad i followed you none the less. there are a lot of great lines here but, “it’s art performed…” makes me smile, then smile again. Brilliant, inspired and motivational writing. Now I have to go spend some time thinking about what I’m good at, then embrace and revel in it. Timothy Pike, host of Dream, Play, Write! I’m a big fan of his show, so I’ll be sure to watch that episode! Glad to see you’re back. Even things you’re good at get better with practice. 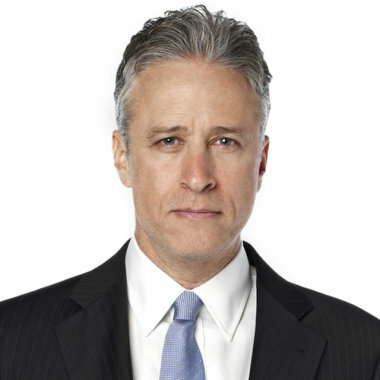 This entry was posted on October 30, 2014 by RunFiestaGal in Uncategorized and tagged blogging, inspiration, Jon Stewart, motivation, The Daily Show, writing.